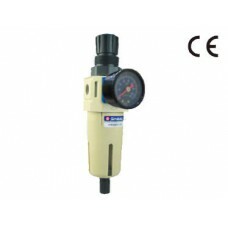 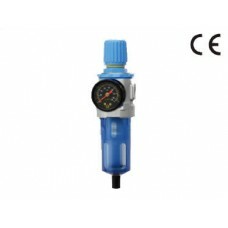 Shako offer a wide range of air filter regulators air treatment equipment for the compressed air industry, the filter/regulator piggy back system is by far the most commonly used. 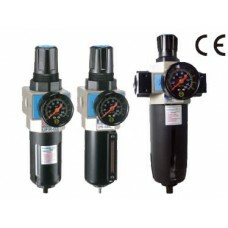 To this end, Shako manufacture a comprehensive range of F/R units to meet global market demands, such as the standard series filter regulator units from 1/4, 3/8, 1/2, 3/4 and 1" BSP or NPT thread for air pressures up to 10 bar with robust piston and sensitive pressure regulation and effective air cleaning technology. 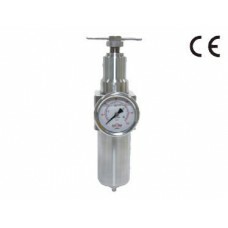 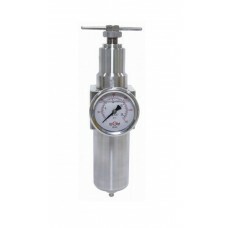 Other models include miniature series with sensitive diaphragm pressure regulation up to high pressure 316 stainless steel and miniature stainless steel filter regulator combination sets to most applications. 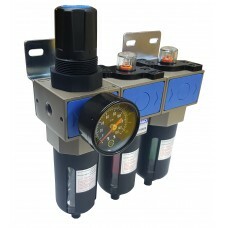 Customers can choose across a wide range of pressure control, filtration levels, port size, flow, body and bowl materials. 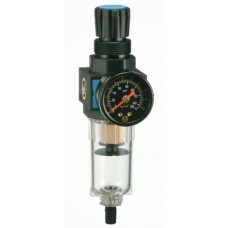 Most are supplied with mounting bracket, screws and pressure gauge. 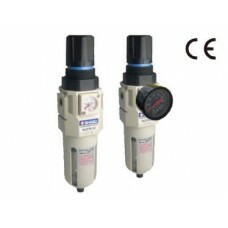 Filter/Regulator Coalescing Carbon Filter Set Shako UFR-UMFB-UMFKB-02-03-04Port 1/4, 3/8 or 1/2" BSP..
Air Filter Regulator Shako NUFR-02-03-04Port sizes 1/4, 3/8 or 1/2" BSP, NPT or Rc thread.Pressure 0..
Air Filter Regulator Shako UAC30A-02-03Port 1/4 or 3/8" BSP, NPT or Rc thread.40μm and 5μm filter el..
Air Filter/Regulator Shako UFR-02-03-04-06-08Port sizes 1/4, 3/8, 1/2, 3/4 and 1" BSP, NPT or Rc thr..
Miniature Air Filter/Regulator Shako FR500A-01-02Port 1/8" or 1/4", BSP, NPT or Rc thread.Pressure 0..
Miniature Air Filter/Regulator Shako FR500C-01-02Port 1/4" (option 1/8"), BSP, NPT or Rc thread.Pres..
316 Stainless Miniature Filter/RegulatorShako SSFR500-02 Port 1/4" BSP, NPT or Rc thread.All 316 sta..
316 Stainless Air Filter RegulatorShako USFR-02-03-04Port sizes 1/4, 3/8, 1/2 BSP, NPT, Rc threads.P..
316 Stainless Air Filter Regulator Shako USFR-06-08Port sizes 3/4 or 1" BSP, NPT or Rc thread. 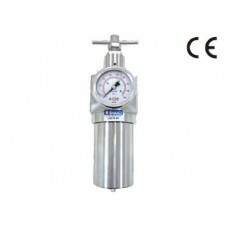 Press..